Copyright: © 2013 IJDDR, Kwatra Shubhika et al. 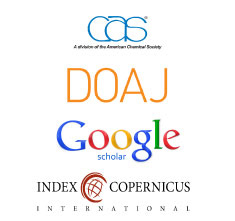 This is an open access paper distributed under the copyright agreement with Serials Publication, which permits unrestricted use, distribution, and reproduction in any medium, provided the original work is properly cited. Nanotechnology is the use of technology at the nano (10-9) level. Nanoscale devices differ from the conventional methods of diagnosing and treating diseases, and present certain advantages over them. Nanomedicine is a branch of the newly emerging field of nanotechnology. It is a rapidly developing discipline. By gaining access to many areas of the body which were thought to be unreachable, the nano devices possess the potential to not only detect diseases but also deliver treatment in ways unimagined before. The various nano devices used are nanowires, cantilevers, nanoparticles, nanoshells, dendrimers, fullerenes, micelles and vesicles. Nanotechnology can even be used in the future to treat lifethreatening diseases like cancer. However, it does have some drawbacks, for example, toxicity, environmental harm and organ damage caused by nanoparticles. There are some ethical issues concerned with the use of nanotechnology too. The purpose of the article is to discuss briefly both sides of the field of nanomedicine: to study the applications of nanotechnology in medicine and, also, to discuss its limitations. Nanotechnology is a science that helps us to manipulate matter at the molecular level so that devices with novel chemical, physical and biological properties can be created . A nanometer (nm) is one-billionth of a meter, a hundred-thousandth the width of a human hair . Nanoparticles are particles that have dimensions below 100 nm .This small size enables the nanoscale devices to readily interact with bioreceptors on both the surface and inside cells. By entering into various areas of the body, they have the capacity to discover diseases and deliver treatment in numerous ways, which was not possible earlier . For example: Nanotechnology uses exceptional approaches for diagnosis and treatment of cancer that could not even be thought of in the past . Nanomedicine is a subdivision of nanotechnology. Basically, the medical application of nanotechnology is what is meant by nanomedicine  . The term nano means-minuscule, extremely small, hence, nanomedicine deals with drug formulations that have sizes in the nano range. Devices built with the help of nanotechnology are used in the monitoring, repair, construction and control of human biological systems . Having a large surface area, the nanoparticles can be attached to drugs, proteins, targeting moieties and diagnosing agents, making them useful in medicine . Nanotechnology is, in fact, helping to realize mankind’s dream of fighting against many complex illnesses like cancer, multiple sclerosis, cardiovascular diseases, Alzheimer’s and Parkinson’s diseases, diabetes as well as some inflammatory or infectious diseases (like AIDS)  . Nanowires- There is a microfluidic channel across which the nano sized sensing wires or nanowires are arranged. When particles pass through this channel, the sensors on the nanowires pick up the specific molecular signatures of these particles. This information is then transmitted instantly through a system of electrodes to the researcher. They detect the presence of transformed genes associated with cancer. This further helps in identifying the precise site of those modifications . Cantilevers- These are beams coated with molecules capable of binding specific substrates. Such micronsized devices, can detect single molecules of DNA or protein. As a cancer cell secretes proteinaceous molecular products, the antibodies bound on the surface of the cantilever fingers selectively combine with these secreted proteins. These antibodies have been fabricated such that they can pick up one or more, distinctive molecular expressions from a malignant cell. The binding event results in change in the conductance of the cantilevers, thus helping in rapid and sensitive detection of cancer-related molecules . Nanoparticles- Nanoparticles are directed to cancer cells to aid in the imaging of a cancerous tumor at the molecular level. Large numbers of radiolabelled nanoparticles are safely injected into the body, which bind favorably to the cancer cell, thus making it visible. Thus nanoparticles give us the ability to see cells and molecules that cannot be otherwise detected through conventional imaging. This capability to gather what happens inside the cell - to observe therapeutic intervention and to see when a cancer cell is lethally injured or is actually stimulated - is crucial to the effective diagnosis and treatment of the disease . Nanoparticles may be of biological or chemical origin. Biological materials include phospholipids, lipids, chitosan, dextran and lactic acid. Chemical nanoparticles may be made of carbon, silica, polymers or metals (like cadmium or iron) . Carbon nanotubes- These are long, needle-like, C-60 fullerene-based tubes that act as bio-persistent fibers. They exist as single-walled carbon nanotubes (SWCNT) and multi-walled carbon nanotubes (MWCNT) . They help to identify the exact location of the cancer-related DNA changes, thereby aiding in diagnosis of the disease. The mutated areas linked with cancer are tagged with bulky molecules. This is followed by tracing the physical shape of the DNA using the nanotube tip, which is then digitally translated into a topographical map. With the help of the bulky molecules, the precise location of the mutations can be pinpointed on the map . Quantum dots- Quantum dots are nanoscale, coated crystals that are made of a semiconductor material. Their size ranges from 2.5 to 100 nm, varying with the thickness of the coating. These crystals glow when activated by ultraviolet light and the emitted color depends on their size. When they are connected to a molecule that can bind to the substance of interest, they light up when such binding does occur. Therefore, they can light up the sequence under investigation. Because of the various colors and intensities of light that can be emitted by quantum dots, they can be combined to create probes that simultaneously detect several substances, for example, they have been used for the concurrent imaging of multiple proteins [3, 11, 12]. One of the key priorities of nanomedicine research is using nanotechnology in delivery of drugs. This is being achieved by developing nanoscale particles or molecules to improve the pharmacokinetic and pharmacodynamic properties of a drug. bigger elements, which are discarded that could force a patient to take high doses . On the other hand with nanoparticles, prolonged, targeted action of the drug can be achieved, possibly reducing the drug dose. Although the goal of nanotechnology is to increase bioavailability, in some cases the bioavailability and the drug activity may decrease, like in the case of insulin-chitosan nanoparticles . Problems such as issues related to solubility of drugs can also be solved using nanotechnology as there is reduction in particle size of the poorly water-soluble drugs. In addition, there is benefit of increased active agent surface area. Moreover, nano-drugs have the advantage of faster dissolution, which leads to greater bioavailability, smaller drug doses, diminished toxicity and decreased dosing variability . Efforts are constantly being made to develop drug delivery mechanisms, including the ability to transport drugs across cell membranes into the cytoplasm. This is significant because many diseases can be impeded by drugs that can cross through the membrane . Potential nanodrugs will work by very specific and well-understood mechanisms. The drug release may be activated by degradation of the particle, or heat and light may be used for inducing the therapeutic effect. One of the major impacts of nanoscience will be in development of completely new forms of drugs with more useful behavior, specific targeting, lesser side effects, greater safety and quicker development of new medicines. For this, long-lived nanoformulations will be needed. PEGylation, which is the surface treatment with polyethylene glycol (PEG), of nanoparticles results in prolonged presence of the nanoparticles in circulation [3, 15]. Nanoshells- A nanoshell is a type of spherical nanoparticle. It consists of a dielectric center which is covered by a thin metallic shell (usually gold) . The nanoshells can be injected without harm. They collect favourably in cancer wound sites because of their size. This physical selectivity arises due to the enhanced permeation retention (EPR) phenomenon. Tumour cells express antigens themselves or the antigens are expressed by the tumour microenvironment. Nanoshells can be modified to carry molecular conjugates to these antigens. This further increases the specificity of nanoshells to preferentially link to the tumour and not to adjoining healthy cells. Then, externally energy can be supplied to these cells. The specific properties of the nanoshells allow for this directed energy to be absorbed. This creates an intense heat that kills only the tumor cells. The therapeutic effect is the same irrespective of the form of external energy- whether it be mechanical, radio frequency or optical. The use of nanoshells thus, significantly reduces side effects and increases the efficacy of the treatment . Dendrimers- “Dendrimers are nano-sized, radially symmetric molecules with well-defined, homogeneous and monodisperse structure consisting of tree-like arms or branches”. The flexible branches of a dendrimer provide a tailored sanctuary containing voids that provide protection from the outside environment wherein drug molecules can be physically trapped. This trapped drug is then released at the tumor site . Micelles- Micelles are aggregates of amphipathic molecules in water, with the nonpolar (hydrophobic) ends in the interior forming the core and the polar hydrophilic) ends at the exterior surface, towards the water surface. Hydrophobic drug can be trapped in the core of such micelles, which effectively protect the drug from the environment. Polar drug will be adsorbed at the micellar surface. In case of amphiphilic drug, the molecules will align themselves in a certain intermediate position . Liposomes- Liposomes are spherical, bilayered vesicles. These are also amphiphilic in nature like micelles. The hydrophilic ends are towards the aqueous side and the hydrophobic ends are oriented away from water. The drug is carried either in the aqueous compartment (if hydrophilic) or in the lipid bilayers (if hydrophobic) . These vesicular carriers can pass through the smallest arterioles and can penetrate endothelium as they are small, flexible and bio-compatible . Niosomes- Niosomes or non-ionic surfactant vesicles are an alternative to liposomes. They overcome the limitations of liposomes such as chemical instability, inconsistent purity of phospholipids and high price. They have a potential use in controlled and targeted drug delivery . Fullerenes- Fullerenes, also called Buckyballs, are composed of carbon. They are natural hollow balls and are 1nm in diameter. In fullerenes, active pharmacophores can be coupled to the surface in three-dimensional arrangement to target the compounds to biological sites, to confine atoms within the fullerene cage, and to connect fullerene derivatives to targeting agents . Protein and peptides are called biopharmaceuticals. They have many biological actions on the human body and they showed great promise for treatment of various diseases. Targeted or controlled delivery of these macromolecules using nanomaterials, like nanoparticles and dendrimers, is an emerging field called nanobiopharmaceutics. Such products are called nanobiopharmaceuticals . These nanobiopharmaceuticals can be formulated as receptor-specific and can be more resistant to unspecific degradation. They can also deliver the peptide in encapsulated form to delay their degradation. Thus, they have an upperhand to conventional peptide delivery systems . One of the major problems with topical delivery of ophthalmic drugs is poor absorption in the eye, which makes providing and maintaining an adequate concentration of the drug in the precorneal area difficult. Polymeric nanoparticles are attractive alternatives to conventional topical ocular drugs, as they demonstrate increased stability and have a longer elimination half-life (t1/2) in tear fluid (upto 20 min) as opposed to conventional drugs (t1/2=1-3 min). Nanoparticulate drug delivery systems have shown potential for enhanced absorption of therapeutic drugs, improved bioavailability, reduced side effects, and sustained intra-ocular drug levels, and thus can be used in the future for the treatment of eye diseases . Aerosol inhalation is being used widely for a number of therapeutic agents, but some limitations are encountered in lung delivery of drugs, such as loss of compound during inhalation, difficulties in dosing, enzymatic degradation within the lungs, and the high cost of production. These can be overcome by nano drug delivery systems, which work by stabilizing and protecting the release of the drug in bronchi and make pulmonary therapy effective . Nanoparticles can enter the brain by two mechanisms: one, by their trans-synaptic transport through the olfactory epithelium following inhalation, and two, by their uptake through the Blood-Brain Barrier (BBB). The entry of a molecule into the brain is limited by the BBB which allows small lipophilic molecules to passively diffuse, whereas, hydrophilic or high molecular weight molecules are not allowed to pass through. Research has been going on to find ways to cross this BBB, one of which is using nanoparticles as drug-carrier systems. The capability of nanoparticles to penetrate the BBB may lead to new means of effective drug delivery to the brain . It is not yet clear how the nanoparticles cross the BBB. One hypothesis is that this is made possible because of the toxic effect of these particles on the cerebral endothelial cells. The surface charges of the nanoparticles are important in determining their toxicity and distribution in the brain. Anionic nanoparticles in low concentrations and neutral nanoparticles are not toxic for the BBB, while anionic nanoparticles in high concentrations and cationic nanoparticles are toxic. Also, the degree of uptake of the nanoparticles by the brain is dependent on their charge; the uptake is more for anionic nanoparticles than cationic or neutral particles at low concentrations . The new nanomaterials that are being developed might be effective in diagnosing, preventing and treating cancer. Nanotechnology research has led to early detection and molecular imaging of cancer. Cantilevers and nanowires can detect the cancer biomarkers timely. Nano-sized iron oxide particles are being used with MRI (Magnetic Resonance Imaging) to spot metastatic lesions in lymph nodes precisely. Nanoparticles can assist in imaging of malignant lesions . To improve the imaging of cancer, targeted contrast agents can be injected. Nano-carriers that deliver cancer prevention agents can be designed. Multicomponent anticancer vaccines are being developed that use nanoscale delivery vehicles. Efforts are being made to develop nano-devices in which the diagnostic and drug delivery aspects will be integrated . Traditional cancer treatments have numerous side effects, and seldom completely treat the patient. However, targeted drug delivery using nanotechnology can change it all. This is, in fact, evident from the studies already taking place. The small size of nanoparticles, allows them to accumulate preferentially at tumor sites, and selectively target tumor cells. This is because tumors lack an effective lymphatic drainage system. This adherence to cancerous cells makes nanoparticles useful as therapeutic agents. To increase the specificity of nanoparticles, a molecular tumortargeting moiety may be attached to their surface. Also, cancer cells develop resistance to the drugs, which remains a significant obstacle to successful chemotherapy. Nanotechnology can overcome this drug resistance. Furthermore, nanotechnology has been utilized to solve the problem of poor water solubility of many promising and currently available anticancer drugs and thereby contributed in increasing their effectiveness. Fullerenes, dendrimers, and nanoshells are the nanostructures majorly being used in cancer treatment. Nanomedicine can overpower the impediments in cancer treatment, owing to the distinctive nano size and characteristic biological effects of nanomaterials . Nanoparticles of anti-cancer drug paclitaxel (taxol) have increased toxicity for tumor cells . Antibodies specific for molecules can be attached on the surface of nanoparticulate carriers to target chemotherapeutic and radioactive agents directly to the cancerous cells. Liposomes are being used as drug delivery systems for many drugs. For example, amphotericin B encapsulated in liposomes is used for treating fungal infections frequently accompanying anticancer treatment and liposomal doxorubicin is employed in the treatment of some cancer forms .Nano-delivery systems that can deliver drugs for treating the complications which develop with longtime anticancer therapy need to be built, to uplift the quality of life of cancer patients . Nanoparticles can be used as carriers for thrombolytic drugs that are used in the treatment of vascular thrombosis, which is the formation of blood clots. If thrombolytic drugs are given systemically, hemorrhage may be produced and orally these drugs are less effective. When such drugs are incorporated into nano-carriers, the drug is released directly into the specific site, and fewer side effects are produced . A defective gene may be the cause of a disease or a disorder. Intracellular gene delivery alters the expression of a gene and corrects the defective gene. Nonviral vectors are being increasingly used today as gene-delivery systems as they have the advantages of safety and flexibility over viral vectors. Nanoparticulate drug-delivery systems form one kind of such nonviral vectors. Research in this sphere is going on. Nanoparticles can be used as carriers for gene delivery; example, plasmid DNA can be encapsulated in PEG-modified gelatin nanoparticles. Dendrimers can be used for transporting both singleand double-stranded DNA as well as RNA. Solid Lipid Nanoparticles and liposomes can also be used as a carrier for gene transfer . Nanomaterials get entrapped by the mononuclear phagocytic system of the liver and spleen. This hepatic targeting may be used advantageously to treat liver diseases like hepatitis and tumor metastasis . Nanonephrology is a branch of nanomedicine that encompasses “the study of kidney protein structures at the atomic level; nano-imaging approaches to study cellular processes in kidney cells and nano medical treatments that utilize nanoparticles to treat various kidney diseases”. Research is being done to comprehend the physicochemical properties of proteins and other macromolecules at the atomic level in different kidney cells. Understanding these properties will help develop innovative therapeutic approaches that can be used to fight against many renal diseases. Nano-scale engineering advances permit programmable and regulated nano-scale robots to perform curative and reconstructive procedures in the human kidney. Creating nanostructures compatible with the kidney cells that can safely operate in vivo is a prospective objective . Despite its varied applications and several benefits, nanomedicine cannot be termed as flawless. A very cogent reason for this assessment is that as the transition from micro particles to nano particles begins, the size range decreases to a large extent and the number of surface atoms increase. As the surface area becomes larger, the problems like interparticular friction and sticking become significant. Also, being so small in size, the nanoparticles may have their clearance rate from the body high enough to preclude their use in diagnosis or drug delivery . For hepatic targeting of the nanoparticles, their entrapment by the mononuclear phagocytic system is used to the advantage. But, the same property can become a problem for nano-structures meant for drug action elsewhere in the body. The mononuclear phagocytic system recognizes and leads to subsequent phagocytosis of these particles, resulting in removal of the particles from the body. PEGylation hampers this and elongates the nanoparticles’ existence in the body . The increased surface area of the nanoparticles results in an augmented chemical reactivity of these particles leading to a pressing uncertainty as to how these particles will react under different conditions and whether they will be able to cross cell membranes and enter cells. The increased chemical reactivity of nanoparticles brings about the production of reactive oxygen species (ROS), which may cause oxidative stress, inflammation, and damage to DNA, proteins and membranes, ultimately leading to toxicity. A major drawback of nanomedicine is that nanoparticles have no common feature other than their size. Hence, each particle has to be assessed individually. Also, changes in shape and size can lead to varied physical and chemical interactions- a substance that is non-toxic at 100nm can become toxic at 1 nm or vice-versa. Another limitation is the dependency of these particles on the surrounding environment- particles may disintegrate or aggregate leading to alterations in size, resulting in toxicity. Other factors that may influence toxicity are the chemical composition, surface structure, surface charge, solubility and the presence of functional groups on the nanoparticles. Nanoparticles can cause effects that are not seen with traditional therapy. For example, they can gain access into the various cell organelles like nucleus or mitochondria and trigger damage. They can also initiate blood coagulation pathways and prompt platelet aggregation. Though designed to decrease the systemic adverse effects of the drug, the carrier systems themselves may cause toxicity . According to studies, nanoparticles can accumulate in the organs of various animals. Moreover, we cannot predict if the organisms will be able to excrete them or they will remain accumulated in the body. While the biodegradable nanoparticles are usually excreted, the non-biodegradable ones may accumulate in organs and potentially cause harm . The particles that do not degrade or degrade slowly may build up at the site of drug administration and cause chronic inflammation. Nanoparticles produce ROS and oxidative stress, which may cause neurodegenerative diseases such as Alzheimer’s and Parkinson’s diseases. The surface charge of the nanoparticles is an important factor in determination of their BBB toxicity, as has been previously discussed. Nanomedicine has a promising future especially for diseases like cancer. Scientists hope that nanomedicine will improve the efficacy of drug delivery to the target tissue as well as regulate the release of drug at the specific site, thereby resulting in an increase in the therapeutic index. However, one major hurdle is the tendency of nanoparticles to cause damage to the lungs. Nanoparticles may cause pulmonary inflammation, immune effects and systemic effects. Uptake of the nanoparticles through the olfactory epithelium can also take place, leading to epithelial cell injury, which can compromise the basic functions of the nose . It is not clear as to how they cause lung injury, but a recent study published in the Journal of Molecular Cell Biology showed that Polyamine dendrimers (PAMAM’s) trigger a programmed cell death called as autophagic cell death thereby causing lung damage. Autophagy is a normal cell scavenging process. It disintegrates damaged cells and regulates normal cell growth. Over-activity of this process leads to death of lung cells, leading to organ damage. It is not confirmed whether other group of nanoparticles (apart from PAMAM’s) work by the same mechanism but a few may do so and blocking autophagic cell death can lead to prevention of lung damage in most cases . Pulmonary inflammation can also lead to changes in membrane permeability that may cause the nanoparticles to distribute beyond the lungs. The pulmonary inflammation and the particle distribution (beyond the lungs) - both have the potential of enhancing the risk of cardiovascular disease. Nanoparticles are more potent than larger particles as they have a greater surface area. The charge of the nanoparticles is important in determining their cardiovascular toxicity. The anionic nanoparticles are quite non-toxic, whereas the cationic nanoparticles have been found to initiate hemolysis and blood clotting. Some studies have revealed that fullerenes may cause brain damage by causing lipid peroxidation. In-vitro work on the recently developed nanotubes has showed that they may cause ROS production, oxidative stress, lipid peroxidation, mitochondrial dysfunction as well as changes in morphology of the cells. They may induce platelet aggregation. Their intratracheal instillation at high doses may result in chronic lung inflammation and lung toxicity. Also, these carbon nanotubes may block the oxygen receiving capacity of the lungs by clumping the airways. The toxicity of quantum dots could be due to surface coating, or, due to production of the ROS that induce lipid peroxidation that can damage the mitochondria, nucleus and plasma membranes. No cytotoxic effects have been seen with gold nanoparticles or gold nanosuspension. Gold nanorods have been found to be cytotoxic owing to the presence of Cetyl Trimethyl Ammonium Bromide (CTAB) as stabilizer in the formulation. If CTAB is removed by PEG modification of the gold nanorods, the cytotoxicity is eliminated. Silica nanoparticles have been shown to be toxic and non-toxic under different instances. The toxicity increases with the dose and the exposure time. Silica exposure causes oxidative stress. At high doses, it induces membrane damage and a reduction in cell viability/proliferation . Other than the evident risks to the patient, nanoparticles may perhaps be toxic to the environment too, and may require prior processing before disposal. The non-biodegradable ones are likely to cause land, water or air pollution. It is tough to predict their effects on the surroundings and, it is not known whether or not they are harmful to the biome. If they enter the bionetwork through the plants, their eradication would be highly demanding. Another limitation of using nanotechnology in medicine is its high expense. The use of nanomedicine would increase the cost of health care, which would make its access difficult to the poor . Furthermore, the ethical, social and legal facets of nanomedicine need to be handled tactfully to gain civic backing. Though efforts are being made to increase the understanding of using nanomedicine in living beings, there is still ambiguity surrounding the risks that humans would be exposed to with its use. As a result, the clinical trials involving nanomedicine pose distinctive challenges. The leading ethical issues encompass assessing, managing and communicating the risk during clinical trials. To evade the possibility of public criticism, it becomes imperative to educate the people about the benefits and perils of nanomedicine . Nanotechnology helps to overcome the limitations of the conventional dosage forms. This technology promises to be used in disease treatment as well as diagnostics with high efficacy. Therefore, nanomedicine has been gaining widespread popularity. However, nanoparticles and nanotechnology, in general, is a relatively novel concept and very less experimental data is available about its harmful effects. This lack of information may lead to impediments in the safety regulation of nanotherapeutics and present before us unique assessment challenges. Therefore, a deep understanding of the safety aspects of nano-materials is required. Further, the Department of toxicology and the Department for development of the drug delivery system should work in close collaboration to develop an effective nano-drug delivery system. For each nano-formulation, the risk-to-benefit ratio should be determined, and based on that, it should be decided whether its progress should be continued or not. Nevertheless, the field of Nanomedicine is growing at a tremendous pace, and is here to stay. De Jong W., Borm P. Drug delivery and nanoparticles: Applications and hazards. Int J Nanomedicine, 2008 Jun; 3(2): 133–149. Pub Med Central PMCID: PMC 2527668. NCI Alliance for Nanotechnology in Cancer [Internet]. Kralj M., Pavelic K. Medicine on a Small Scale. EMBO Rep., 2003 Nov; 4(11): 1008–1012. PubMed Central PMCID: PMC 1326387. Singh Om Pal, Nehru R. M. Nanotechnology and Cancer Treatment. Asian J. Exp. Sci., 2008; 22(2): 45- 50. U.S. Department of Health and Human Services, National Institutes of Health, National Cancer Institute. Cancer Nanotechnology- Going Small for Big Advances. NIH Publication No. 04-5489. 2004 Jan.
Pathak Y., Thassu D., Deleers M (eds.). Pharmaceutical Applications of Nanoparticulate Drug-Delivery Systems. In: Nanoparticulate Drug Delivery Systems- Drugs And The Pharmaceutical Sciences Volume 166, New York, Informa Healthcare, pp 185-212. Fulekar M.H. Nanotechnology in Drug Delivery. In: Nanotechnology: Importance And Applications, New Delhi, I.K. International Publishing House Pvt. Ltd. pp 48-66. Loo C., Lin A., Hirsch L., Lee Mh., Barton J., Halas N., West J., Drezek R. Nanoshell-enabled photonics-based imaging and therapy of cancer. Technol Cancer Res Treat., 2004 Feb; 3(1): 33-40. PubMed PMID: 14750891. Sampathkumar S.G., Yarema K. J. Dendrimers in Cancer Treatment and Diagnosis. Nanotechnologies for the Life Sciences, 2007. Florence A.T., Sakthivel T. Dendrimers & Dendrons: Facets of Pharmaceutical Nanotechnology. Drug Development & Delivery, 2003; 3(5): 73-78. Liang X., Chen C., Zhao Y., Wang P. Circumventing Tumor Resistance to Chemotherapy by Nanotechnology. Methods Mol Biol., 2010; 596: 467– 488. PubMed Central PMCID: PMC 3047496. Khamkar G., Moon R., Mali D., Kale A., Likhe R. Nanomedicine: As a Novel Application of Nanotechnology. International Journal of Pharmaceutical Sciences and Research, 2011; 2(6): 1389-1394. Chiranjib D.B., Chandira R.M., Jayakar B. Role of Nanotechnology in Novel Drug Delivery System. Journal of Pharmaceutical Science and Technology, 2009; 1(1): 20-35. Li C., Liu H., Sun Y., Wang H., Guo F., Rao S., Deng J., Zhang Y., Miao Y., Guo C., Meng J., Chen X., Li L., Li D., Xu H., Wang H., Li B., Jiang C. PAMAM nanoparticles promote acute lung injury by inducing autophagic cell death through the Akt-TSC2-mTOR signaling pathway. J Mol Cell Biol., 2009; 1(1): 37-45. PubMed PMID: 19516051. Resnik D., Tinkle S. Ethics in Nanomedicine. Nanomedicine (Lond), 2007 Jun; 2(3): 345–350. PubMed Central PMCID: PMC 2695932.